All aspiring DJs will need to give themselves freedom to spread their wings. Their equipment may be restrictive or it may provide them with an endless amount of freedom to experiment and manipulate their music. The Numark Mixtrack 3 is certainly an excellent DJ Controller that does just that. It will give the DJ the ability to ply their trade with very few restrictions, if any. 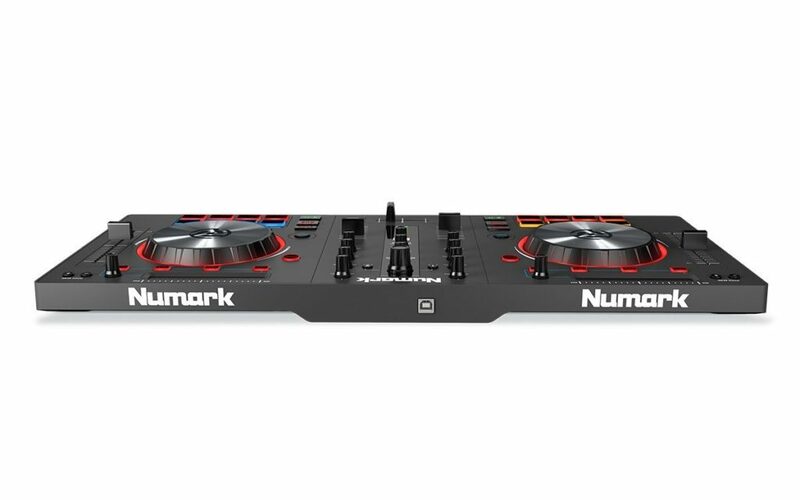 This is Numark’s mid range model, they also have a premium version of this controller called the Numark Mixtrack Platinum. 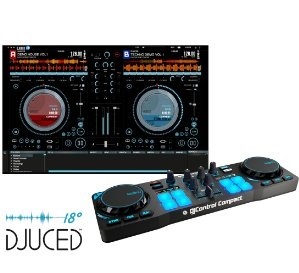 For the price, the DJ controller is a great bargain, but additional purchases may be necessary. Below, you will learn about the pros and cons of this device. It should come as no secret that beginners will be better suited with a more user-friendly DJ controller, while veterans will want something a little more advanced. This right here is the best of both worlds. The Numark Mixtrack 3 will prove to be a great investment for beginners, who do not mind making a few additional purchases. Also, their computer will need to be compatible with the controller. In order to utilize this device with your laptop or PC, you will need access to two USB ports. The controller does not include a sound card. Therefore, the buyer will also need to be willing to invest in an external audio interface. Unfortunately, investing in an audio interface will increase the overall cost and this may make the product unreasonable for some newbie consumers. For established users who have the additional gear this device is a beast. The DJ controller does not offer headphone monitoring and therefore the user will need to monitor their beats through alternative audio sources. Nonetheless, the Numark Mixtrack 3 is undeniably fun to use and it is downright perfect for beginners, who are just getting into the hobby. 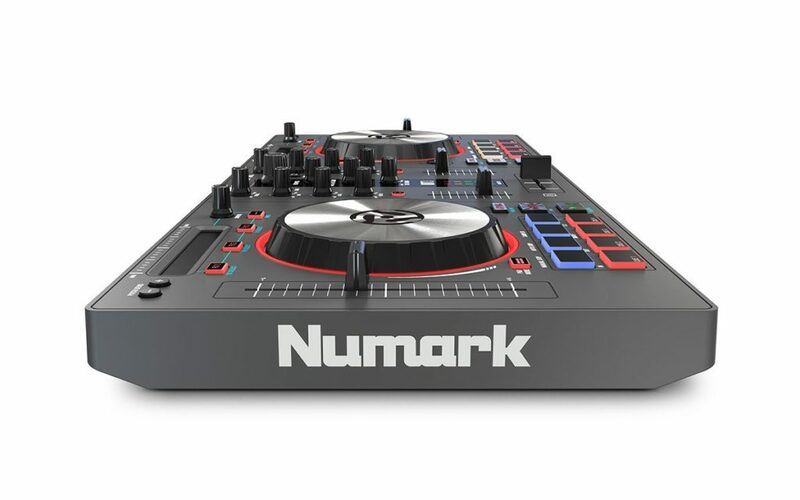 While the Numark Mixtrack 3 is affordable in its own right, it still includes a wide assortment of features. In fact, the device’s features easily parallel those offered by a much more expensive DJ controllers. This is why it’s a perfect device for advanced users who want to add it to their setup. This specific device comes with 3 channel EQ filters. At this price range, it is nearly impossible to find another controller with this type of functionality. The Numark Mixtrack 3 also includes 100mm pitch sliders and convenient dedicated filter knobs for each channel. Many other affordable DJ controllers only offer a 50mm pitch slider. This may seem like a minor feature on the surface but it’s amazing. With more space to make adjustments it allows for fast, seamless and fine tuned adjustments you can never get with a 50mm slider. Therefore, this device offers more mixing freedom, while also ensuring your beats will remain in perfect sync. The product also comes with sixteen multi-functional performance pads and a Prime Loops remix tool kit. On top of that, you’ll also be blessed with multiple FX manipulation possibilities. Truly, there is little you cannot do with the Mixtrack 3. The device is very versatile and you’ll really be able to let your imagination run wild. It is important to note that the Numark Mixtrack 3 does not come with a sound card, which means that it will require an additional external audio interface. The device will allow your laptop or computer to transmit audio data to a third-party device, such as speakers or headphones. Many DJ controllers are not embedded with a sound card, but they are a necessity for all professional DJs. You will need to purchase an additional sound card, be sure to invest in a reputable brand. The DJ system’s sound quality will definitely depend on the quality of the sound card. This controller won’t change your sound quality due to this. The external sound card is embedded with audio ports, which are compatible with speakers, surround sound systems, CD players, headphones, microphones, MIDI keyboards and joysticks. Determine what you need to hook up to and check out our audio interface guide for more information. Another thing to note is the Mixtrack 3 includes Virtual DJ LE software, which will suffice for mixing at home. 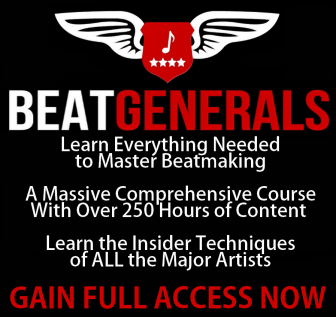 This program is the bare minimum to get started on mixing beats. However, if you perform live in front of a large group, or make meaningful beats you may want to upgrade to the Virtual DJ Pro. This upgrade will provide you with more options, but it will require a bit of practice to perfect your skills and adapt to the updated version. When utilizing the Numark Mixtrack 3 for the first time, you will likely feel of the plastic knobs and form the misconception that the device isn’t going to last. The truth of the matter is that this DJ controller is enormously sturdy. It is manufactured with the highest-quality plastic. The device weighs just a little over 4 pounds, but it is still built to last. The knobs and sliders feel plastic and slightly cheap, but they’re very durable and they can certainly take a beating. This is one of the main reasons the Numark is a good investment for beginners. And of course, the jog wheels work exceptionally well. Scratching on the wheels can be immensely fun and the device is very responsive. Even the slightest moves will be translated to your computer and into your sound. While the Numark Mixtrack 3 Controller is certainly a great product, it does have a few minor limitations. As mentioned above, the device does not include a soundcard. You have to fully rely on the connected computer for sound control and monitoring. You should also remember that this product will not work with tablets or phones. A USB input is still required for the external DJ interfaces. And finally, you need to know that this device is not compatible with audio streaming services, such as YouTube or Spotify. In order for you to play your beats, the audio files must be present on your computer’s hard drive. 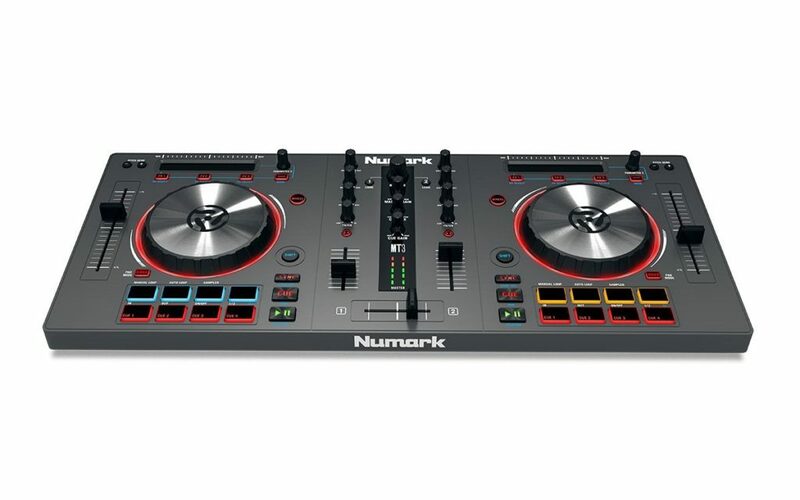 When it comes down to it, the Numark Mixtrack 3 USB DJ Controller will prove to be a great option for most beginners. However, it is essential to remember that this will not be the only purchase you’ll make. If you really wish to utilize this device to the fullest, you’ll need to buy more and spend more. As long as you’re willing to do that, this product will provide you with a fun and convenient way to learn how to DJ. If you want a more complete package, you should consider looking elsewhere. If you consider yourself to be an aspiring DJ, you’ll want to quickly equip yourself with the most reliable equipment. Over the years, DJ turntables have evolved substantially, thanks to an abundance of technological improvements. The Hercules DJControl Compact USB Controller is an innovative virtual turntable, which will give you precise control over your beats. While the product is lightweight, compact and very affordable, it possesses an array of excellent features, which allow it to parallel much more expensive alternatives. This specific USB controller will be explored in greater depth below. It is undeniably true that DJs are always on the go. They’re forced to transport all of their items to each venue. Suffice to say, a big and bulky turntable would be unrealistic and cumbersome. The Hercules DJ USB Controller will make your life substantially easier. The device measures in at 13.4 by 3.9 inches and weighs just 1.2 pounds. The combination ensures you’ll be able to load up your equipment and transport it to the club without a great deal of effort. Another excellent feature of the Hercules DJControl is the device’s USB connectivity. Not only does the device connect to your computer through this cable, but this is also how the controller is powered. This ensures you do not have to carry along any extra cords. And, all modern computers have USB ports. This means that the device needs to be connected to an audio interface/external soundcard. This is a required purchase to play your mixes outside your computer. You also have to monitor through your computer speakers/headphone jack. When it comes down to it, the jog wheels are most important for the artist. They’re the component that allows the DJ to ply their trade, create their beats and have fun along the way. With the USB Controller, the user will be able to take advantage of two jog wheels, with each being 2.95 inches in diameter. The jog wheels work fluidly with the computer and perfectly replicate a vinyl record. If you prefer a digital upgrade, but still want the nostalgia of scratching on a vinyl record, this USB controller will prove to be a great addition to your arsenal. The Hercules is unique in so many ways, making it stand out above the competitor brand. One unique feature worth mentioning is the ergonomic design, which allows the controller to adapt fully with all laptops. The mixer controls are conveniently located in the center of the unit, with separate deck controls on both the right and left side panels. This keeps everything neat and organized, so you can perfect your sounds without fumbling around looking for the controls. Every DJ wants to standout above their competitor, by integrating their own mix into their audio tracks. Of course, this is no easy task, but with the included DJUCED 18 DJ software, you will be able to customize your sound with effects and loops, then save the finished product to your laptop. The greates part about this is that the software is completely free at full functionality with the purchase of this controller. Most other entry controllers for DJs are only come with a lite version. Though the software itself has less features than most of those paid DJ softwares. While the Hercules USB Controller is definitely small, it still delivers a bold performance and an abundance of features. The device is equipped with 10 control buttons, 2 equalizer potentiometers and a single volume potentiometer. At the same time, the deck includes 4 modes, such as Loop, Samples, Cue and FX. Truly, there is very little you cannot do with this USB controller. You’ll be able to create loops, while adding an endless amount of effects to your music. The possibilities are enormous with the Hercules USB Controller. -Device is USB powered, requires a soundcard. All in all, the Hercules DJControl USB Controller might be affordable, compact and lightweight, but it will still deliver a big performance. The device is certainly suitable for beginners and even advanced DJs. Whether you’re interested in creating your own beats at home or playing in the club, this USB controller will prove to be a great investment!